By now, you understand how busy life at UNC can become – which makes the statement above a bit closer to reality than most of us would like. With all the organizations to join, social events to attend, people to meet, languages to learn, papers to write, and projects to complete, most students at UNC wish for more hours in a day. 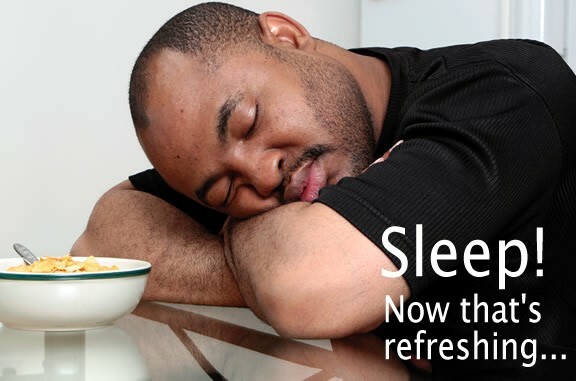 Sometimes, they get those extra hours by forgoing sleep. Especially at a competitive school like UNC, students quickly fall into the dangerous trap of taking pride in sacrificing sleep for academics. I’ve heard many UNC students brag about pulling an all-nighter. People even say things like “I can sleep when I’m dead.” or “Sleep is for sissies.” (That last one is advice a professor gave me at UNC. Yikes.). Given the culture surrounding sleep on a competitive college campus, I know that prioritizing sleep is going to be difficult. But the research is clear: getting enough sleep has wide-ranging benefits in areas that are especially important to students such as memory, focus, and stress. They do know that when people are sleep-deprived, their attention, focus, motivation to learn, creativity, ability to think abstractly, and vigilance are all decreased. This makes it harder to receive and properly process incoming information, and makes it more likely that we make sloppy errors in our work. When tired, neurons don’t function properly, and we are less able to recall previously learned information. Can’t learn new things? Can’t remember old things? 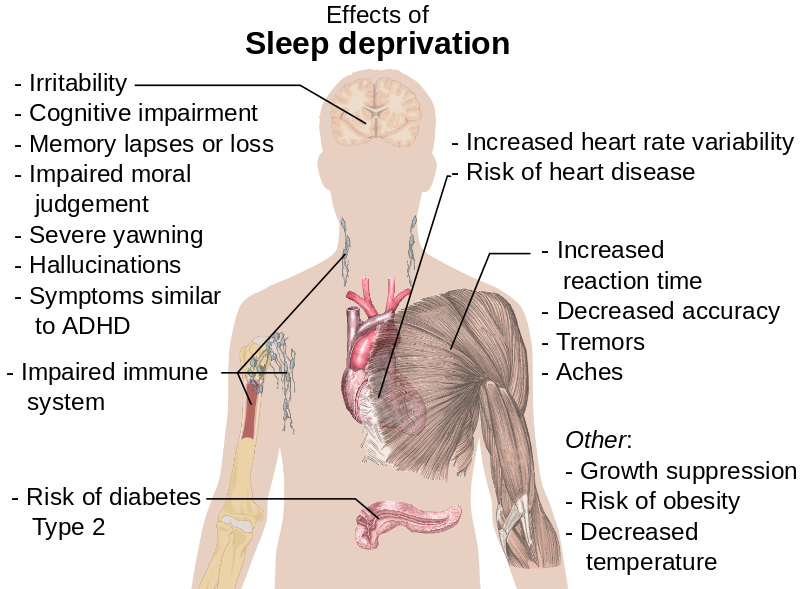 Lack of sleep takes its toll on the student’s brain. Getting good sleep is about developing good habits, or “Sleep Hygiene.” Harvard Medical School has a Division of Sleep Medicine website which I highly recommend if you are interested in learning more about sleep. They have listed 12 tips for improving sleep which are amazing. Read them now. Seriously. Turn your bedroom into a sleep-inducing environment. Keep work, electronic devices and bright lights out of the bedroom. Use natural light to your advantage to stay on a natural awake-sleep schedule. Avoid devices after nightfall, or if you can’t turn off your mobile device or laptop, consider a red-light filter to remind your body when it is time for sleep. Exercise. Ideally early in the day, and at least 3 hours before bedtime. Want more info? Check out greatist.com’s list of 27 ways to sleep better tonight. The NY Times has some great info on sleeping better in their wellness section, like steps for more, and better, sleep and how exercise can help us sleep better. It’s easy to let your work slip into sleepy time, but remember that doing so makes your hard-working brain work even harder. Instead of pulling an all-nighter, plan ahead and break up studying into multiple smaller sessions. 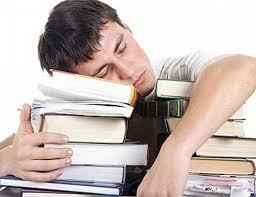 Sleeping between bouts of studying will help consolidate your memories and help you do better on your test. When socializing, make sure you are taking into account how much sleep you have been getting before deciding to hang out with friends late at night. If you are still having issues with sleep, come into UNC Counseling and Psychological Services or Campus Health Services. Both services offer insight to support UNC grad and undergrad students in getting higher quality and more regular sleep. This post was originally published Sept 27, 2013. It has been edited for clarity. Next Article Still adjusting to college life? No worries – it’s normal.